The completion of the LOCI Food Lab version 3.0, caused us to realize that there was a shared thread through our recent researc. We pulled together some of this work and are thinking about it under the theme of: RECOMBINATORIAL CUISINE. Recombinatorial Cuisine is a research project that uses data to sort and recombine ingredients in new ways, with particular attention to attributes that are not included in commercial databases about food. 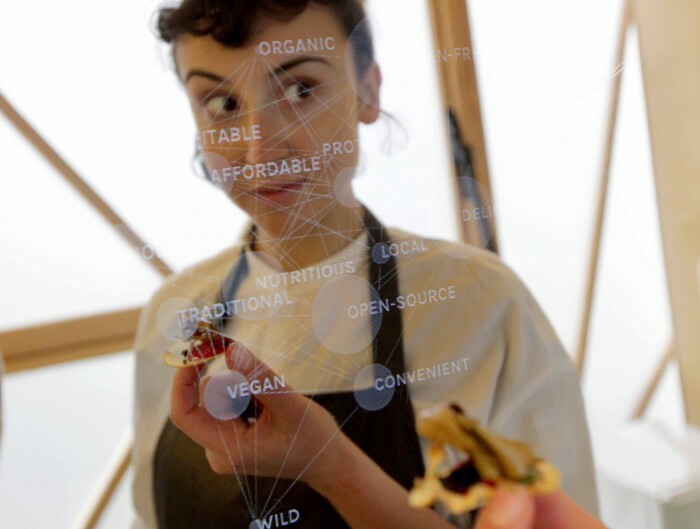 Instead of creating algorithms and databases with the most universal and generic attributes, our work focuses on smaller and more particular datasets and audiences, using digital technology for culinary inspiration without losing the biological, geographic and ecologic specificity of gastronomy. COBALT-60 SAUCE is a series of barbecue sauces made from common mutation bred ingredients, that are derived from the FAO/IAEA Mutant Variety Database. SPICE MIX SUPER COMPUTER 2.0 is a machine designed to blend, taste and record every spice combination possible on earth. 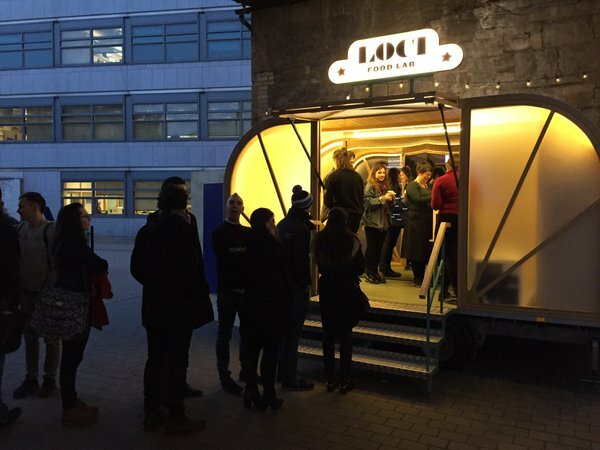 LOCI FOOD LAB is a traveling food stand for prototyping, serving and debating a range of bioregional food futures in different bioregions around the world. 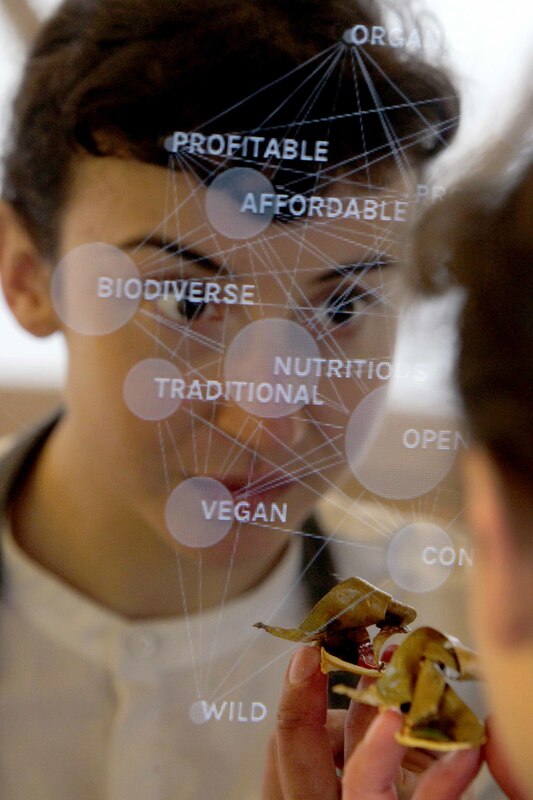 This research has proven to be of interest to people who are excited about the potential of digital technology to aid creativity and gastronomy, but also care deeply about the specific regional, genetic and cultural provenance of a food. As we build each database and algorithm we work with a range of collaborators and publics to visit the sites of food production, gather food ingredients, test flavours and recipes, and refine our work. This process of assembly and interaction with growers, cooks and eaters is a key aspect of the research. The research is most often shared in the form of a pop-up food cart or food stand, which puts the database and the recombined food out for people to touch, taste, debate and take home. The database can be manipulated through tools such as punch cards and iPads, and the data that is collected and recombined is displayed on monitors and thermal printers.